have their personal information stored securely and according to law. We have strict privacy requirements. See below. read their health record and have comments added to it if they wish. If the client wishes to read their health record, they will need to make an appointment for this purpose wth their health practitioner. There may be a fee, particularly if it is a fee-paying service, which we will discuss with you prior to the appointment. We will not delete notes from the health record, and consistent with our policy, there may be reasons for us declining access to it, which we will also discuss with you. If you have a problem with your health care or have had a negative experience when visiting us, we would like to know. Please discuss any problems you may have with your health practitioner. To make a complaint, please speak with the Manager (tel. 9560 3011 or email manager@lwchc.org.au with your contact details). Feedback and complaints are taken seriously and are used to help us improve. Some services are limited in number so that new women also have opportunities to receive care. For example, appointments are limited for acupuncture, naturopathy, drug and alcohol counselling, general counselling and massage. 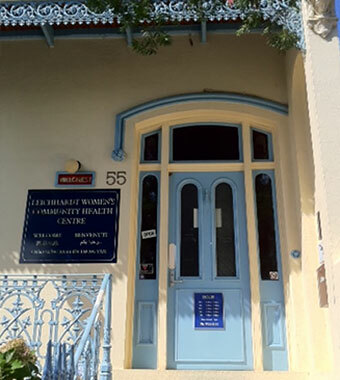 Due to demand and the costs involved in missed appointments and bookings (including health education), we cannot continue offering services for women who fail to attend. The Centre will also limit or withdraw service on the grounds of professional judgement, service availability, the wellbeing of staff or other people and the failure of a client to adhere to the responsibilities detailed above. If this situation occurs we will endeavour to provide referrals to other providers.